As part of NCL’s partnership with Nickelodeon, you’ll run into many of the network’s popular character mascots – Dora, Diego, Sponge Bob, Patrick, etc. 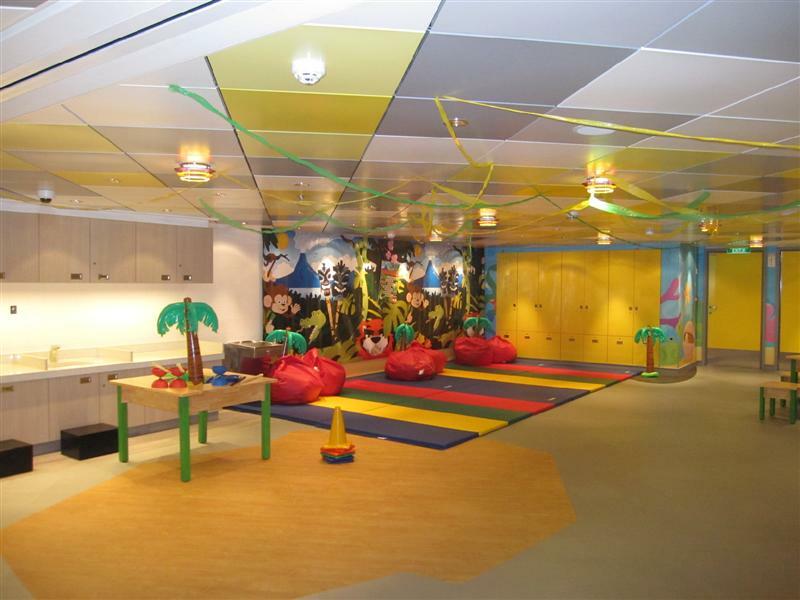 — during your cruise, particularly at the Pajama Jam Character Breakfast, Dora’s Dance Party, and Story Time with Dora. 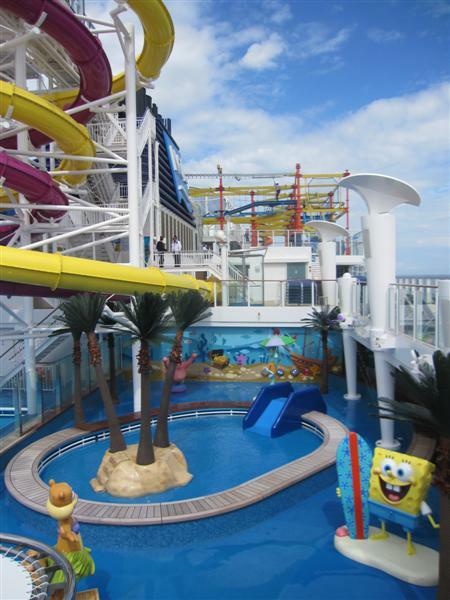 You’ll also find them in the kids’ pool, which recreates Bikini Bottom, with Sponge Bob, Patrick, Squidward and Sandy keeping watch over multiple water features. Not in view here was my favorite: Squidward, holding up an umbrella with his characteristic scowling face. Touring the multiple floors dedicated to the Splash Academy supervised kids’ program was the first time when I really missed my kids on this trip, because I knew they would love this facility. Located on deck 12, there are different areas for specific age groups: Guppies are six months to two years old; Turtles are three to five years old; Seals are six to nine years old; and Dolphins are 10 to 12 years old. This is just part of the Turtles play area. 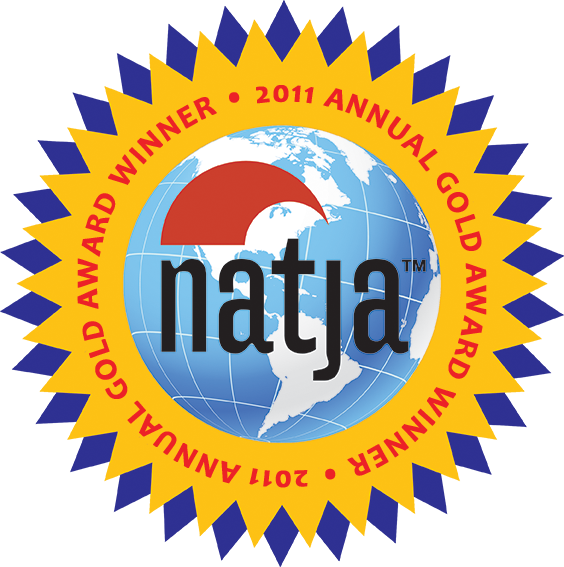 Youth counselors provide a “high-energy” curriculum where video play is limited, and daily themes run the gamut from Hollywood, Super Sports, Circus, Jungle, Cowboys and Aliens, and Spy Nights. 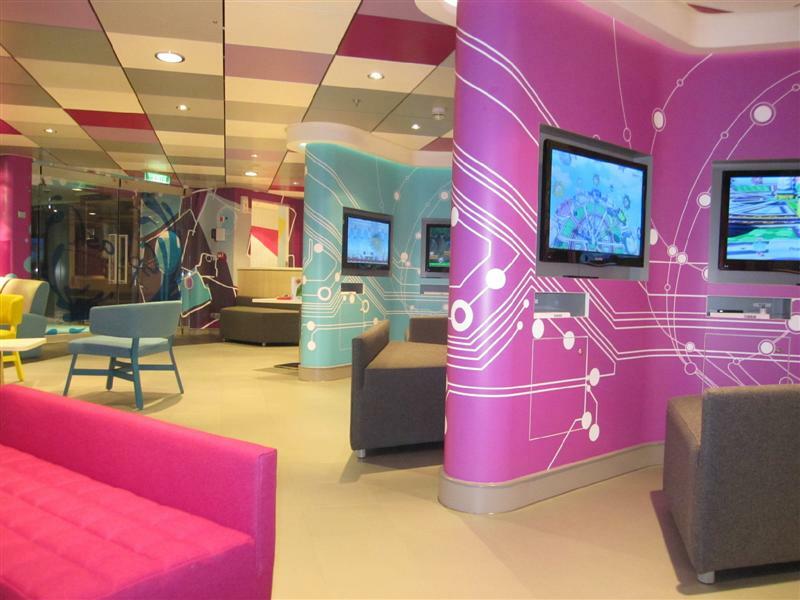 The Dolphins area features several gaming stations. 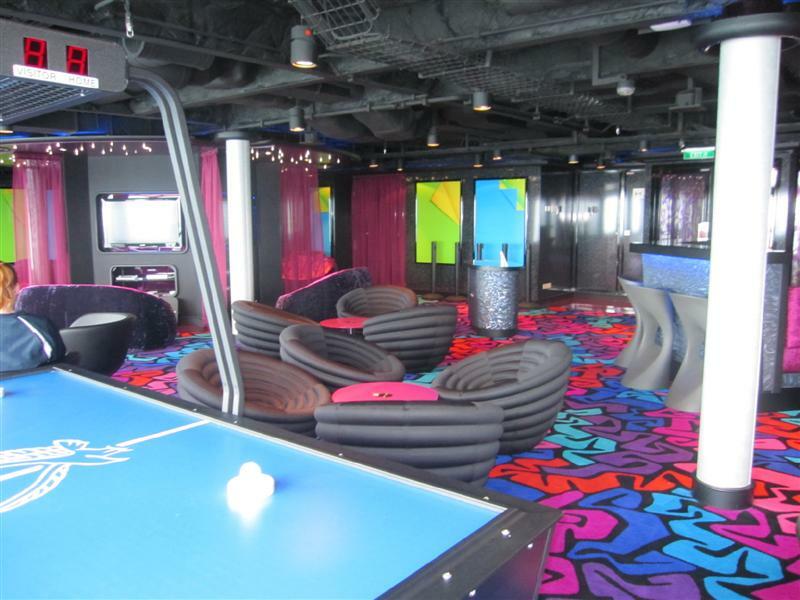 Teenagers – from 13 to 17 – have their own lounge on deck 16, Entourage. There are gaming areas, air hockey, and a dance floor where instructors teach street dance moves. What caught my eye was the professional touch screen D.J. mixing board, used in the D.J. classes. Oh, how my tech and music-lovin’ son would love to get his hands on that! Nightlife on a cruise is generally when parents get their chance to go out, and luckily, the Splash Academy programs and the Entourage teen club are open until 1:00am with supervised activities for kids. But there are evening fireworks at sea which can’t be missed; they’re especially spectacular against the completely dark sky in the middle of the ocean! 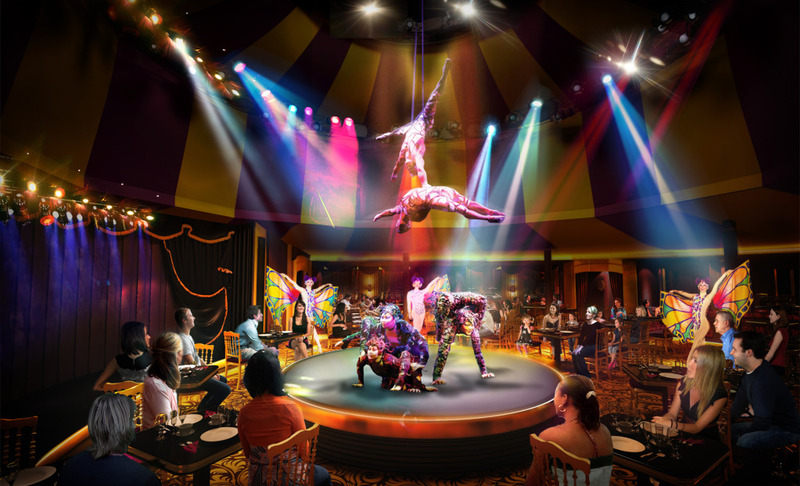 Also, the Cirque Dreams Jungle Fantasy performs nightly in the Spiegel Tent, with a highly acrobatic show suitable for all ages. 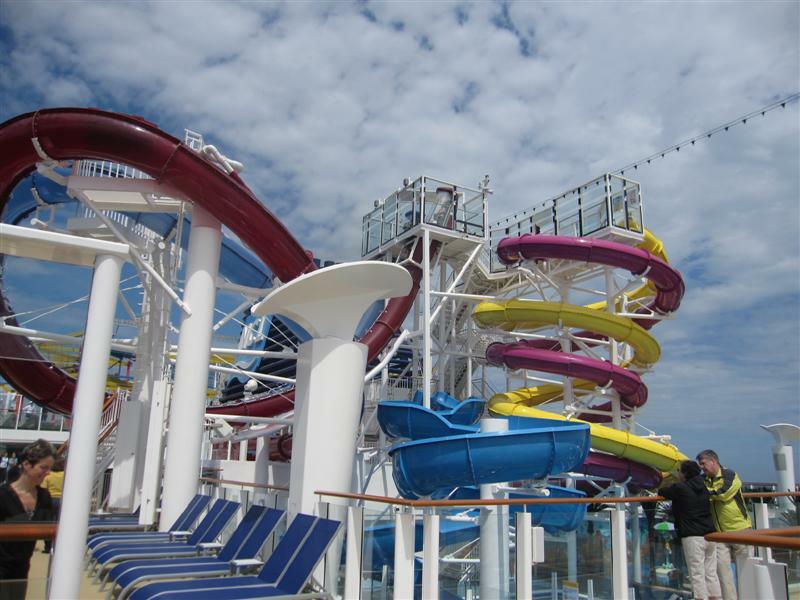 There are areas where the Norwegian Breakaway falls short for families. Primarily, dining. The Garden Café on deck 15 offers an abundant buffet for breakfast, lunch and dinner. There’s plenty of kid-friendly fare here. Beyond this, there are more than 15 other eateries, yet only two – O’Sheehan’s Neighborhood Bar & Grill, and Uptown Bar & Grill near the pool area – felt casual enough where I would consider bringing an active toddler to eat. The others were steps above in formality, and appropriate only for the most well-behaved older children. Looks amazing! I’m sure I’d love those slides that drop out from under you (assuming adults can ride them). Problem is, I’m not one for cruises, I don’t have sea legs. Maybe I’ll try one of those meds and give it a whirl. This cruise ship looks worth it! I’m no longer a kid, but I would enjoy doing some of the activities you laid out here, especially the Cirque show! It’s good they have a variety of activities; kids and teens won’t run out of things to do while cruising. This looks great even for an adult. The best place a kid would rather be where he/she gets to choose between a water slide or a fully equipped game room. This look more like a kids dream land. Oh, I love cruises! But, I definitely wouldn’t be doing that free fall thing. Leave that to the kids! Funny that we’ve lived close to Toronto all our lives and moved to Costa Rica last year… and we never visited these places! Not even the CN Tower! lol …well the Edge Walk is definitely a reason to visit Canada! Thanks for the post … great pics of the our home town! We’re the same way…overlooking great sites that are practically in our own backyard!